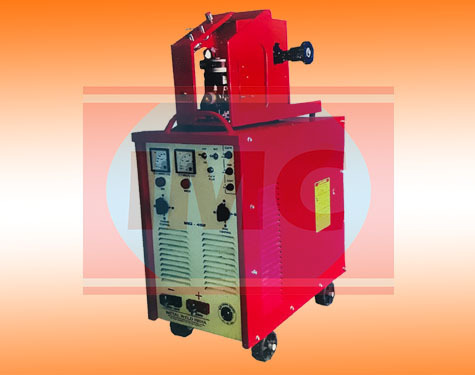 Mig welding machine that are useful in fixings objects or mounting on any suitable surface. These diode & mig welding machines are manufactured using extreme quality of precision and hardened ground parts. These have high gripping power and are widely demanded due to dimensional accuracy, durability and toughness. Our distinguished entity has garnered a considerable position in the industry by manufacturing and exporting of Threading Machine. We also manufacture Lathe, Milling & Drilling Machine. Being able to combat the challenges of ever changing market, we have been successful to offer suitable solutions for the specific industry requirements. In order to be at par with the fast technological advancements, we have developed a sophisticated infrastructure facility with advanced machinery. We, Industrial Machinery Corporation is bestowed with the ISO 9001:2008 certification. For manufacturing quality range of industrial machinery, we have employed highly qualified workforce that possesses extensive expertise in the required area of work. In order to assure first-rate quality, range of our offered machinery is tested abiding by the international quality parameters. Provided assortment of our products is appreciated for its durability, flawless performance, long time functionality and low maintenance. The fabrication task of catered machinery is executed using the premium grade basic material.